Tuesday 1 August 2018 at the St James Theatre (First Floor Foyer), Wellington. Wellington will keep cruising along as is unless we put more cells on the solar panel, have more connection in our communities and more action in our voices. Want to see what fired up and passionate people talking about their impossible dream for Wellington looks like? What it feels like? 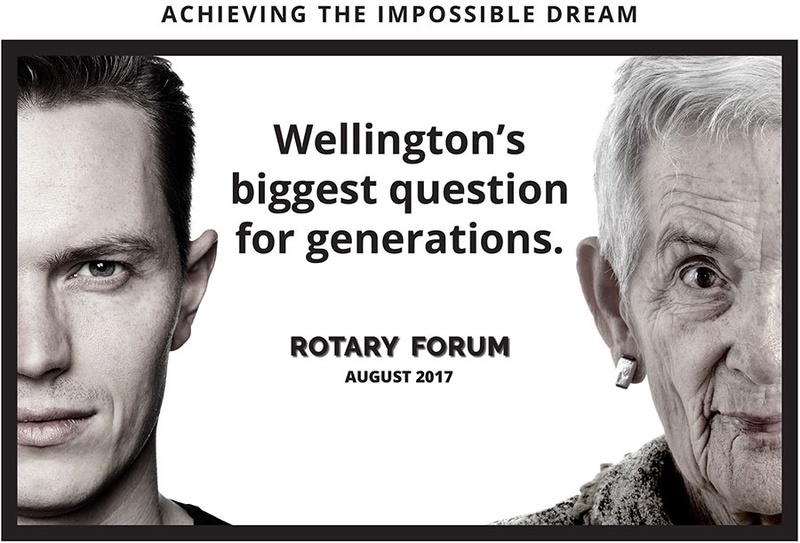 The Rotary Forum 2017 was an afternoon event filled with twelve top speakers. Great minds to collided, knowledge shared and discussion happened about impossible dreams for the future of Wellington. Attendees were challenged, inspired and connected with people vital to the future success of our city and region. This is a chance to join other leaders of positive social change. The more connected we are, the more knowledgeable we become; the better chance we stand of achieving the impossible for Wellington. Original generation time 1.0383 seconds. Cache Loaded in: 0.0108 seconds.